For Sale in Warrington for Asking Price £200,000. 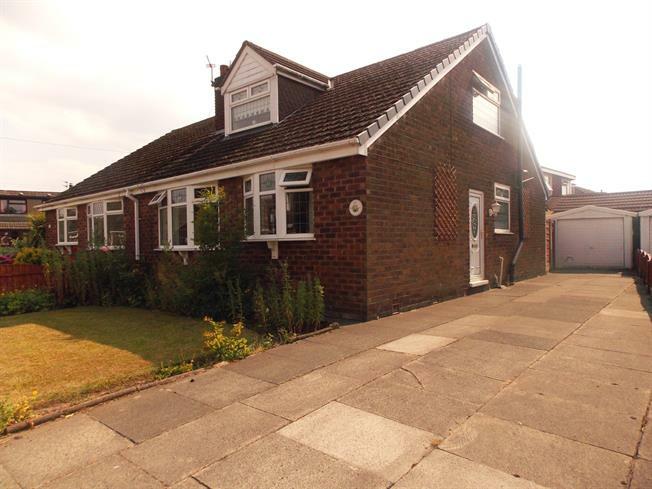 THE PROPERTY REQUIRES SOME MODERNISATION BUT HAS BEEN PRICED ACCORDINGLY This impressive semi detached dormer bungalow has come to the market with no onward chain and has a deceptive amount of space with a large living space and four bedrooms offering an extremely versatile layout that would accommodate a family. The ground floor offers a large lounge which faces the front of the property overlooking the garden with a stunning traditional feature fireplace. Off the entrance hall leads to the first double bedroom, large kitchen and breakfast area and the family bathroom, all kept in great condition. Upstairs this property has three further bedrooms to offer with the master bedroom benefitting from an ensuite shower room. Externally there is a large driveway to fit three cars and a single garage for the extra storage space. The property is located within walking distance of the popular Stockton Heath village with a range of shops, bars and restaurants to suit all.